Currently, I am attending a NAE Principal’s course in Prague, Czech Republic and I am writing these Highlights to you looking out onto a sunny but very cold scene outside. 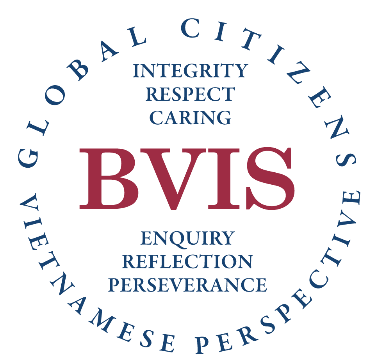 The course is focusing upon educational vision and personal leadership and I am very much looking forward to sharing my experiences, thoughts and ideas within the BVIS community. 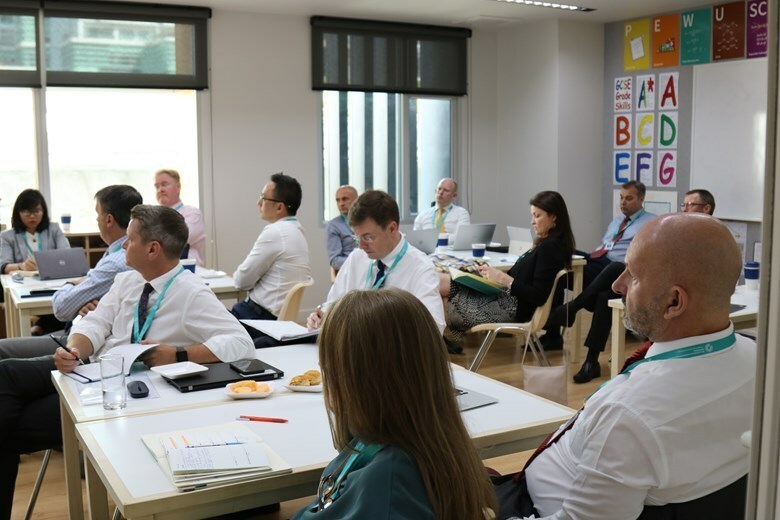 Being part of Nord Anglia Educations brings a wide spectrum of learning experiences for our students but also for the teachers too. 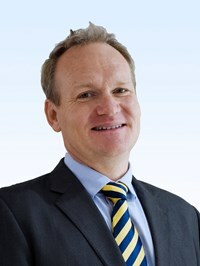 At present, our teachers across BVIS, are readily accessing Nord Anglia University – an online portal that allows all those who work with NAE to have the opportunity to professionally develop their own pedagogy through: connecting with others, connecting with numerous bespoke online courses and to also connect with themselves to self-assess and reflect upon their own practice. 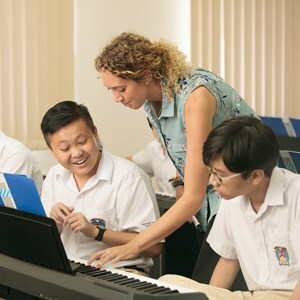 We recruit the very best teachers at BVIS and have a responsibility to develop them further for the benefit of our students, their learning and our school. We also have a variety of teachers accessing Middle and Senior Leadership training to develop the leaders of tomorrow. 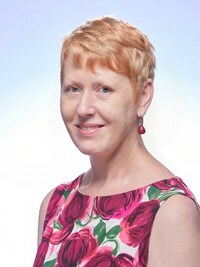 In addition, we also have 3 of our teachers and administration staff working hard to achieve their MA in International Education though King College, London – another unique opportunity allowed annually to 50 NAE employees worldwide. 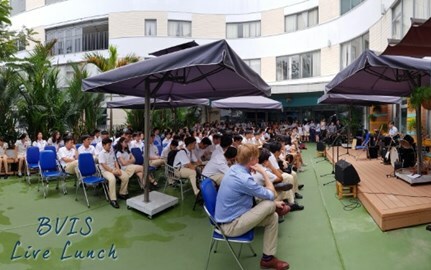 At BVIS, the learning does not stop within our school, as we strongly believe that all parents should have the opportunity to learn, grow and question with us too. 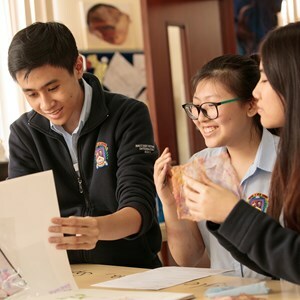 Learning has shifted from solving a problem with a single, definitive answer to identifying problems in a given situation and offering multiple, possible solutions, Nord Anglia Education, Education Director Andy Puttock says. 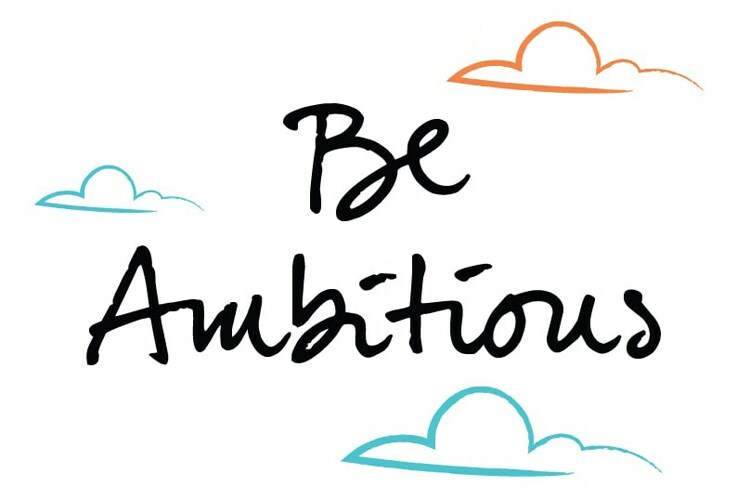 The idea that there is one solution to every problem may work in certain contexts, but it is certainly not the number one skill that our students will need in the 21st century. Please take time to read more in this post from our website, to learn more about how we should encourage questions and not merely give answers. 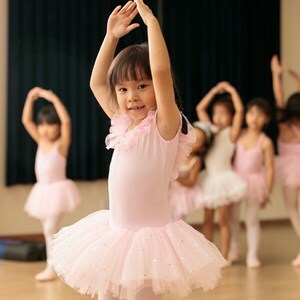 BVIS Summer School begins on the 1st July 2019 and runs until 19th July 2019 for students aged 2 to 14. 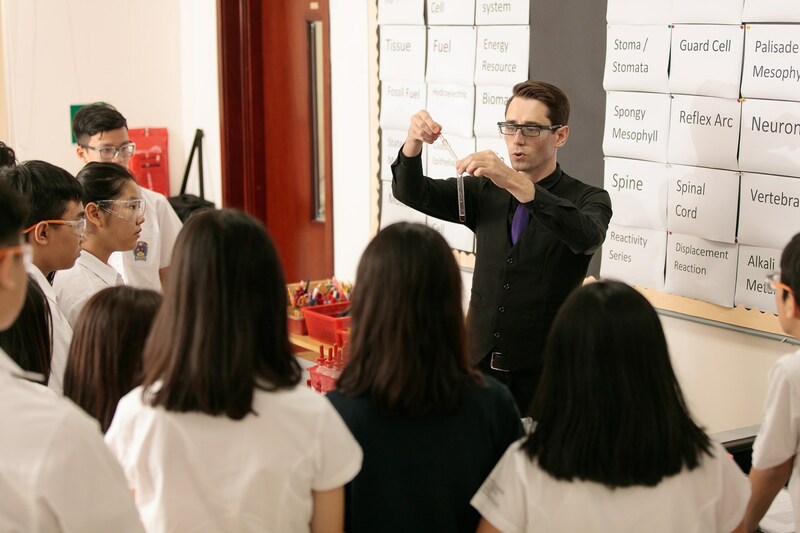 Our Summer School Programme perfectly blends the STEAM approach with a variety of interactive activities, providing all students with a wide variety of fun and exciting learning experiences. 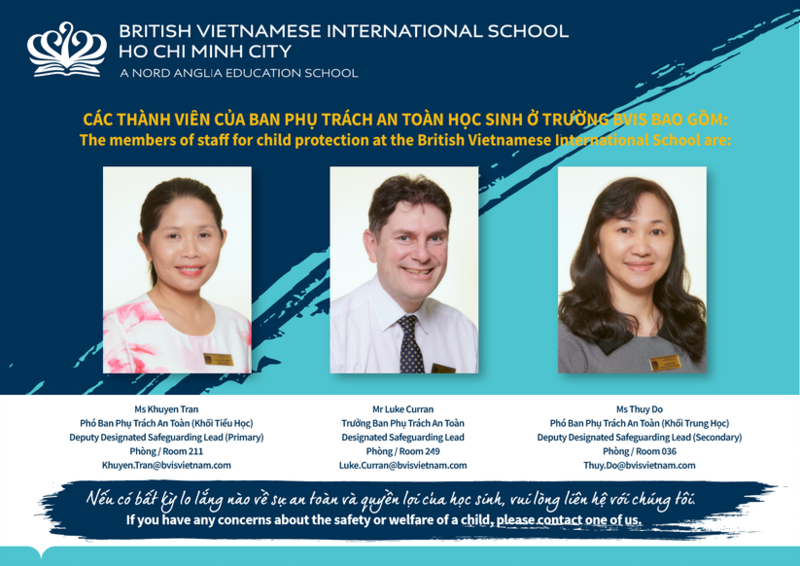 For all information, please read more in this post from our website or contact our Admissions office at (028) 3758 0709/17 (Ext888/216) or email to summerschool@bvisvietnam.com. As part of our commitment to the safety of everyone within our BVIS community, I would like to remind you of the following people who you can contact if you have a concern about the welfare of any child within our school. 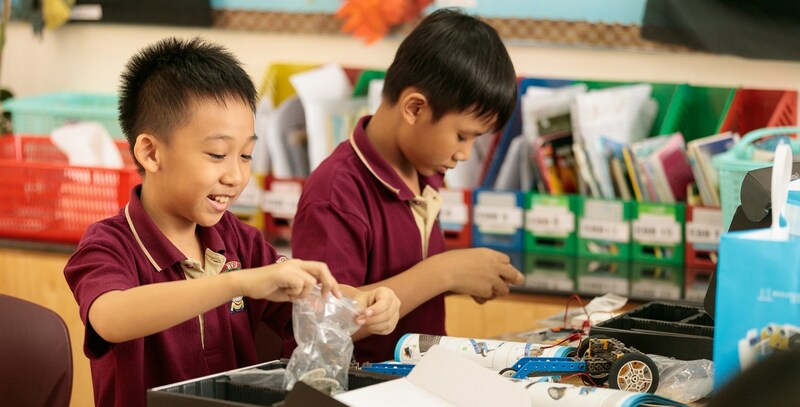 At BVIS, we closely and consistently monitor behaviour, attitude and quality of learning. 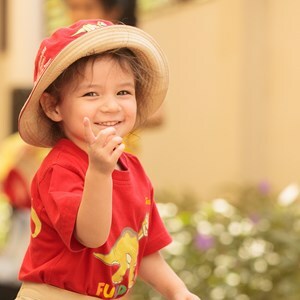 It is a natural human response to respond to praise, which is why we have a series of reward systems in place in the Primary school, some well-established and some relatively new initiatives. Termly “super readers” announced in assembly and rewarded with a special bookmark. One animal sticker for each of our 8 special words/ phrases. Any child with all 8 stickers earns 125 house points. You may not be as familiar with our Maths medals introduced this academic year to reward attitude and perseverance, as well as achievement in Maths. 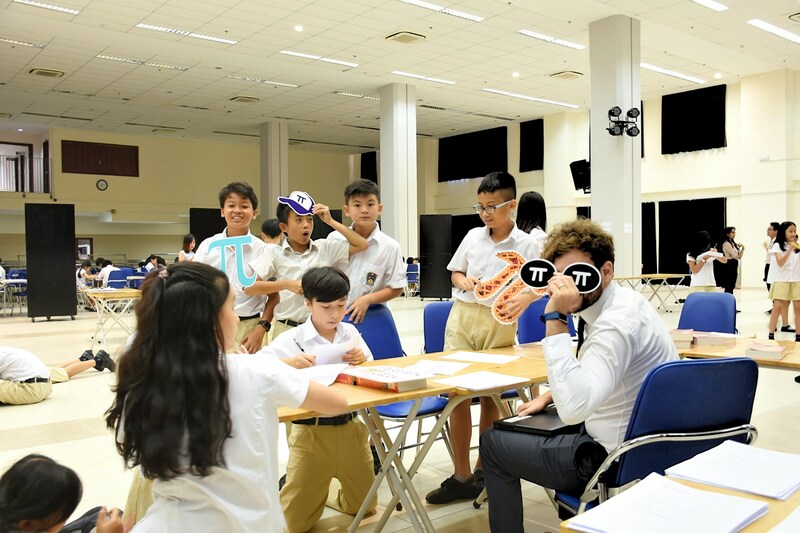 We have also recently introduced “pen licenses” for children in Years 3 - 6 who are able to consistently produce legible, even, neat handwriting in both their Vietnamese and English written work. Children awarded a pen license were given a pen and certificate in assembly last week. This permits them to use pen instead of pencil when writing. I look forward to seeing you in school! 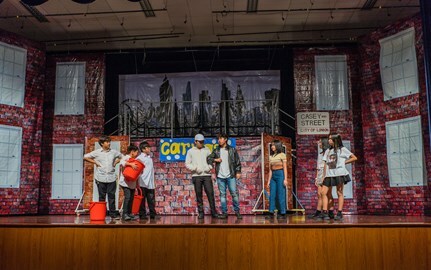 We have had a huge number of events going on in school in the last few weeks and it has been a real pleasure to see the students enjoying themselves with so many things. Students were challenged to find the exact value of Pi by drawing circles and using their feet as a measuring tool – some even got as close as 3.15 which was extremely impressive! 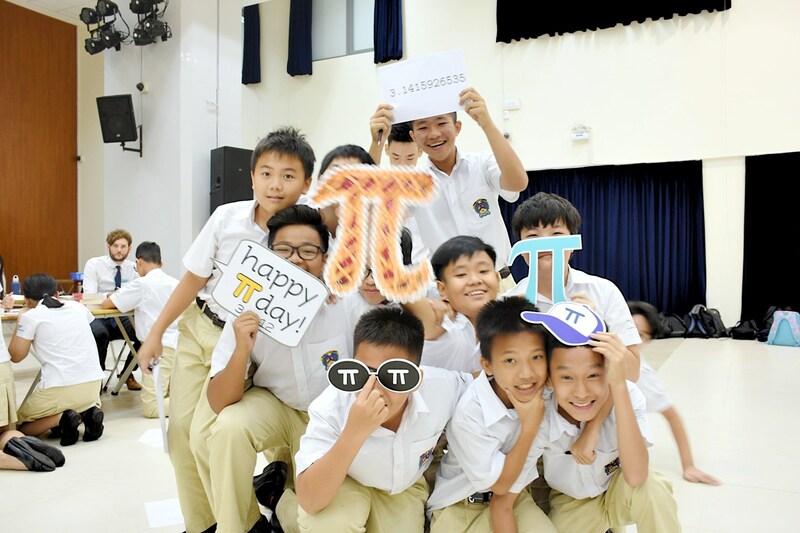 Finally, there was a pi-reciting competition. Students from each year group were challenged to memorise as many digits as they could, and one student in year 7 managed to recall 104 digits! Overall it was an extremely enjoyable day that our students will remember for a long time, allowing them to enjoy Mathematics beyond the classroom and developing a love of learning. Over the last week Student Community Leaders and Ms Hardiman have been taking part in various activities to fundraise for our community projects. On Monday 18th March Community Leaders took part in a Sponsored Silence where they had to remain silent from Period 1 (8.40am) until Period 6 (3.05pm) totalling 6 hours and 25 minutes! Previously on Saturday 16th March Ms Hardiman took part in a yoga challenge where she had to do 108 rounds of Sun Salutations. Each sun salutation is 11 individual movements so this was quite a challenge! At present over 16 Million VND has been raised! A massive thank you to all the students and staff who have sponsored these events. All the money will go to towards developing the facilities at the Green Bamboo Shelter, including the new library we will help to decorate this coming weekend. As part of the adventurous journey section of our International award, we got the chance to partake in a field trip that we not only thoroughly enjoyed but also taught us essential skills required later in life. 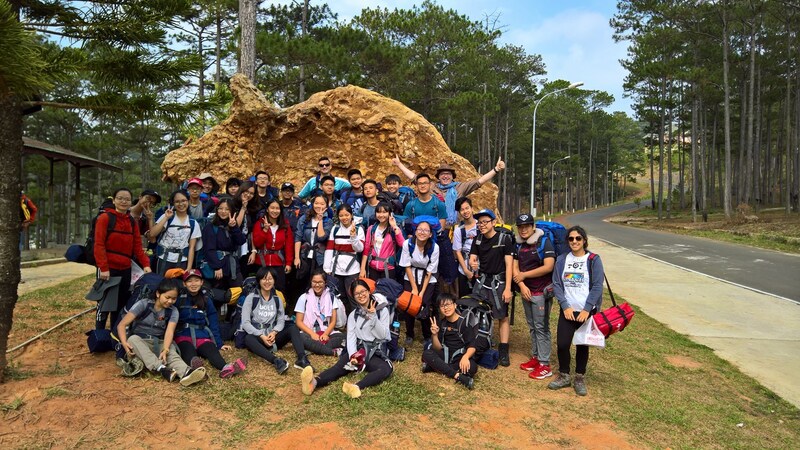 During our 5 day trip to Dalat, we learnt how to: set up tents and build fires; navigate through difficult terrains; become self-sufficient and work as a team with little to no help from our teachers. The expedition challenged us both physically and mentally as we scramble to find our way through the scenic pine forests of Dalat with limited resources and support. We were required to navigate using GPS devices without any assistance and felt truly independent and immensely proud of our achievements after having made it to the campsite. 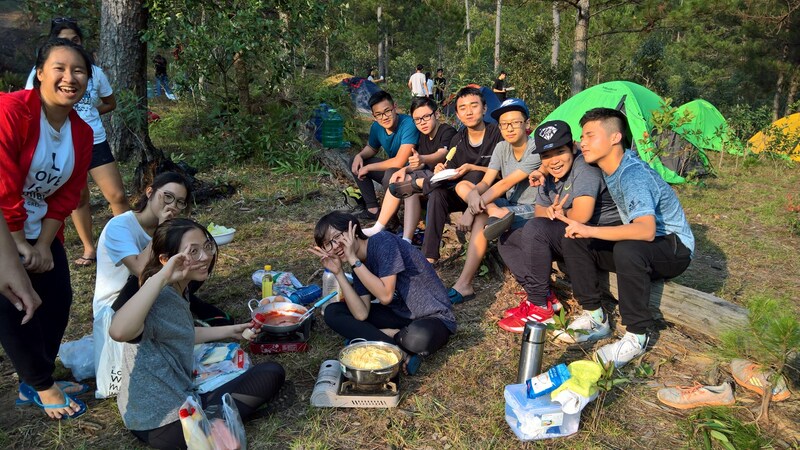 However, we then had to engage in a fight against time to cook dinner with ingredients we carried in our backpacks before sundown - which was a demanding but by no means an uninteresting exercise. Despite all the challenges that camping in the wild has to offer, it also gave us the rare chance to truly get to know the marvels of the natural world that we live in yet seldom appreciate. A long break from our daily routines allowed us to understand of what is beyond our narrow comprehension of the world on which we live. Overall, I could not have been more pleased with what we have achieved as a team and the encouragement we had from our teachers. It was an experience that I would immediately recommend to anyone hoping to challenge themselves with something new whilst helping to better their CVs and outdoor expertise. On behalf of our school, I would like to wish you all a pleasant and family orientated weekend ahead and look forward to seeing you on Monday. 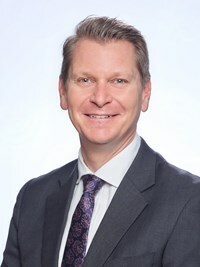 Please do not hesitate to contact me directly via email: simon.higham@bvisvietnam.com to give feedback on our Weekly Highlights and/or suggest any future topic areas that you would like us to possibly cover in the future. 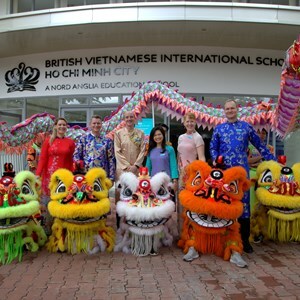 Good communication between home and school is something we value very highly at BVIS HCMC.